Nestlé Professional Middle East, an expert in helping food service operators grow their businesses with creative, branded beverage and culinary solutions, recently unveiled NESCAFÉ Whole Bean roast coffee blends for the first time in the Middle East, along with the groundbreaking NESCAFÉ Milano commercial coffee machine. As Nescafé continues to revolutionize the coffee industry, it is now set to offer coffee operators a ‘complete coffee solution’ – that packages NESCAFÉ Milano top quality ingredients ranging from NESCAFÉ Whole Bean roast coffee to soluble coffee blends, and best in class service through ProCare, all in one to help businesses deliver only the finest cup of coffee to consumers. Designed to ensure speed, easy operations, and a greater choice of espressos and specialty coffees, the high-performing NESCAFÉ Milano satiates coffee connoisseurs with a wide range of options par excellence. 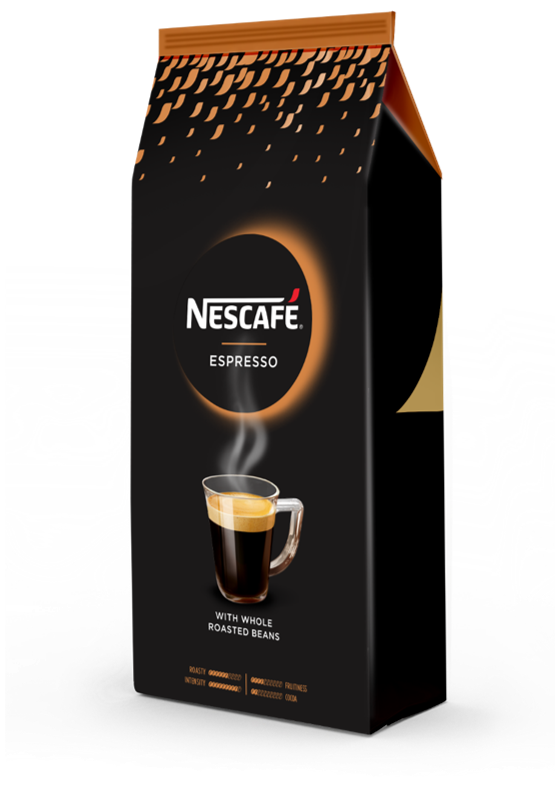 The new coffee machine is highly compatible with NESCAFÉ Whole Bean roast coffee that is being introduced in the region for the very first time. By adding whole roasted beans to its ingredients portfolio, NESCAFÉ demonstrates a strong determination to expand its coffee offering, and to meet consumer expectations in terms of taste, variety, and authenticity. Leveraging over 80 years of experience, NESCAFÉ’s complete coffee solution provides a wider selection in terms of ingredients, now offering a range of both whole roasted coffee beans and soluble coffee, as well as milk and chocolate, to help operators serve delicious espresso-based specialty beverages to coffee connoisseurs, at the push of a button. As technical assistance carries major significance for a smooth operation and growth of a coffee operator’s business, the ProCare Service ensures that operators are benefiting from highly skilled technicians and commercial specialists who take care of whatever the machine needs in its start-up phase, from installation to setup; delivering staff trainings to enhance operational knowledge; and provide exceptional maintenance at no additional cost. With a combination of continuous research & development, investment in technology and innovation, and operational knowledge on consumer insights and trends, Nestlé Professional Middle East continues to offer support to businesses in the food and beverage industry in order to continuously address their challenges with success.